Kiel Downey joined the Rule of Law Collaborative as Research Associate in January 2015 and is currently Research Coordinator. He comes to the Rule of Law Collaborative from the Department of Political Science at the University of South Carolina, where he served as Director of the Master of Arts in International Studies program, Internship Director, and Adjunct Faculty, and where he taught courses on world politics, human rights, and U.S. foreign policy. Before coming to the University of South Carolina, Mr. Downey was a Senior Research Associate at the Congressional-Executive Commission on China (CECC), where he researched and reported on a variety of human rights and rule of law issues, including conditions for China’s religious communities, conditions for its workers, its criminal justice system, and rule of law in its commercial sector. He authored sections of the CECC’s annual reports that focused on these issues, and he provided related background memoranda and in-person briefings to Congressional and State Department staff. Mr. Downey has also worked as a Program Officer for the Taiwan Foundation for Democracy, where he administered grants for projects that focused on rule of law, democracy, and human rights issues in a variety of countries, including Liberia, the Philippines, Pakistan, and Bolivia. Mr. Downey holds a Master of Arts in Law and Diplomacy from the Fletcher School, Tufts University, and a BA in International Relations and Linguistics from Stanford University. 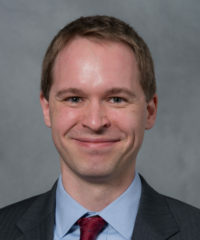 At the Fletcher School, his research focused on intellectual property rights in China and technology transfer in the renewable energy sector, and he published a related article in the South Carolina Journal of International Law & Business. Mr. Downey is professionally proficient in Mandarin Chinese and conversant in Cantonese and Spanish. He has translated academic articles, business materials, and a full-length book from Chinese to English.